Looking at the list, who stands out? Player E is the leading scorer by a solid margin and the best three point shooter, and Player C is the assist leader which of course is especially relevant for point guards. But Player F came out as the leader in three of the seven categories, including both advanced metric categories. He is also second in three of the categories he does not lead. Player F is Jon Axel Gudmundsson. Powell, Goodwin, and Dowtin all were projected as Second team all A-10 players. Livingston and Pipkins were projected as first team players. Gudmundsson was third team. In my colleagues’ A10 Talk preseason player rankings, all five players rated ahead of Jon Axel Gudmundsson. The blind comparison above suggests that Gudmundsson is not the worst player on the above list, but rather that he may be the best. The preseason projections are especially puzzling because the other five players have a range of skills and experiences. There does not appear to be a type of player that is rising to the top here. Goodwin is a very good defender, Pipkins and Livingston are offensive stalwarts. Dowtin was a supporting player on the regular season champions last year, a number of other players anchored bad teams. The only possible explanation for rating Gudmundsson last is that he is the only player from above not ranked as the best player on his own team. But even that makes little sense given that both Jaylen Adams and Matt Mobley made first team all A-10 last year manning the St. Bonaventure backcourt. Whether its because of his backcourt running mate or his Icelandic name, Gudmundsson is the most underrated player in the A-10 at this point. 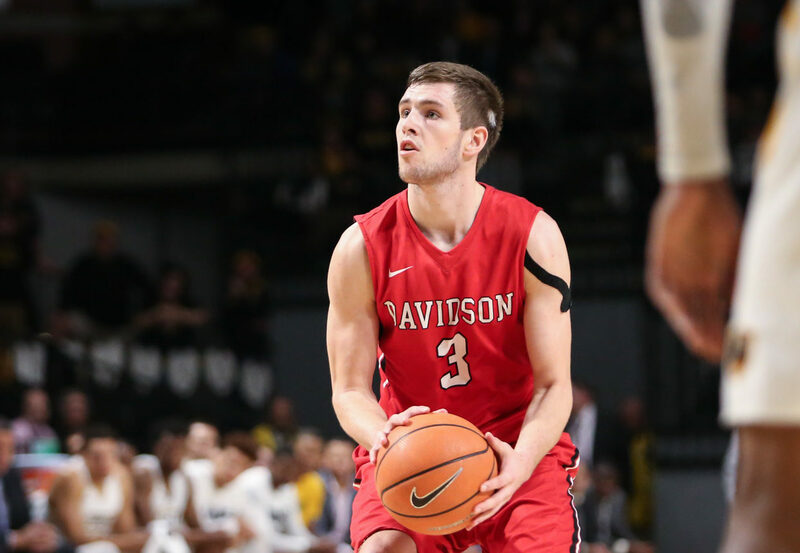 Davidson has snuck up and won the A-10 regular season/tournament two of the past four years precisely because its combination of efficient three point shooting and pesky defense was underappreciated by prognosticators. Gudmundsson epitomizes this style of play as much as one in a Wildcat uniform. I firmly expect Gudmundsson will be one of the best players in the A-10 this year. We’ll see if he is as underrated at season’s end as he is now.